Turneffe Flats has long been recognized as Belize's premier saltwater fly fishing, SCUBA diving and marine eco-tourism destination. Located on beautiful Turneffe Atoll in the Caribbean, our resort specializes in superior flats fishing, diving, guided snorkeling, and other eco-tours for a limited number of guests. Awaken in your air-conditioned beachfront cabana to a stunning tropical seascape, expansive bonefish flats, and surf breaking over the coral reef. We are ideally located to enjoy Turneffe's 250 square miles of pristine flats, coral reefs and rich marine life. For more than three decades, Turneffe Flats has been known as one of the world's finest saltwater destinations. Our diverse fishery, with the opportunity to land bonefish, permit and tarpon on any given day, sets Turneffe Flats apart from other destinations. Turneffe's crystal clear, wadeable flats make bonefishing a consistent mainstay of our fishing. Turneffe is also one of a select group of saltwater destinations offering anglers the opportunity to experience the excitement of casting to tailing permit every month of the year. 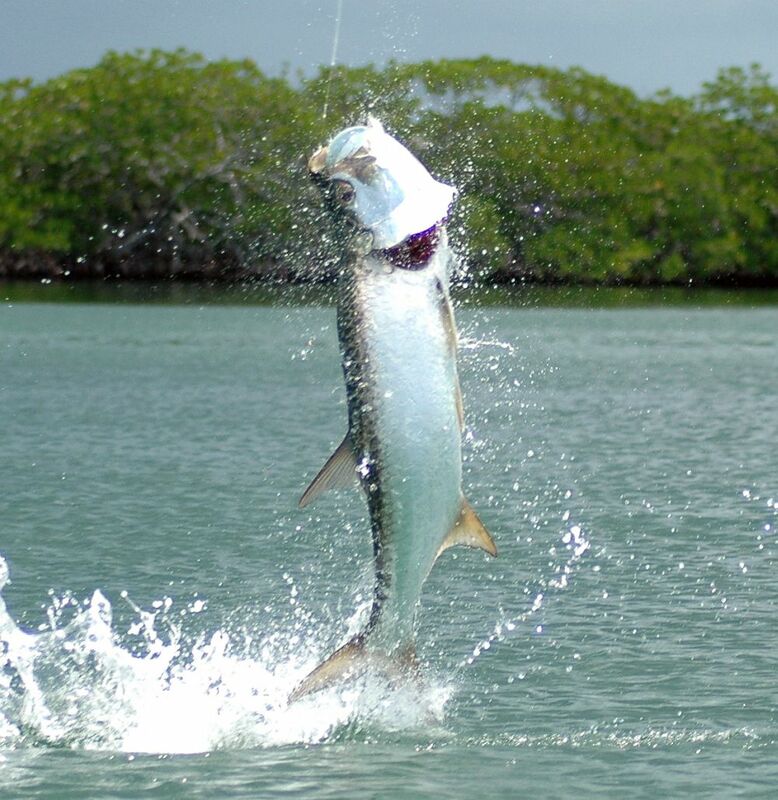 Additionally, Turneffe is home to large, migratory tarpon between April and October with resident tarpon caught throughout the year. Snook, barracuda, snapper, jacks, triggerfish, and several other species, round out an exceptionally-diverse fishery. Belize's atolls are consistently rated among the world's best diving destinations and Turneffe Flats is ideally located to take advantage of all of the best sites on the atolls. We emphasize personalized service and maximum flexibility. Dive groups, led by our excellent, service-oriented dive team, are generally kept at eight divers or fewer. Three dives daily include a weekly trip to the Blue Hole and Lighthouse Reef - weather permitting. PADI Dive Instruction is available with a range of courses including Open Water Referrals, Advanced SCUBA Diver Certification, Discover Scuba Diving and various Specialty Courses. 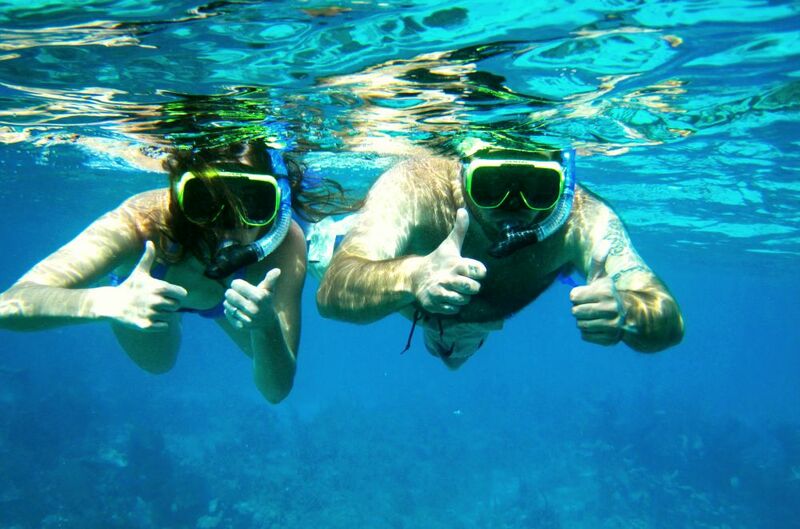 Because there are so many wonderful things to see and do at Turneffe, we have developed a unique marine eco-tour vacation combining world-class snorkeling with other exciting and educational activities. In addition to incredible snorkeling and birding, activities include observing rare manatees, sea turtles, saltwater crocodiles, and dolphins in their natural habitats. 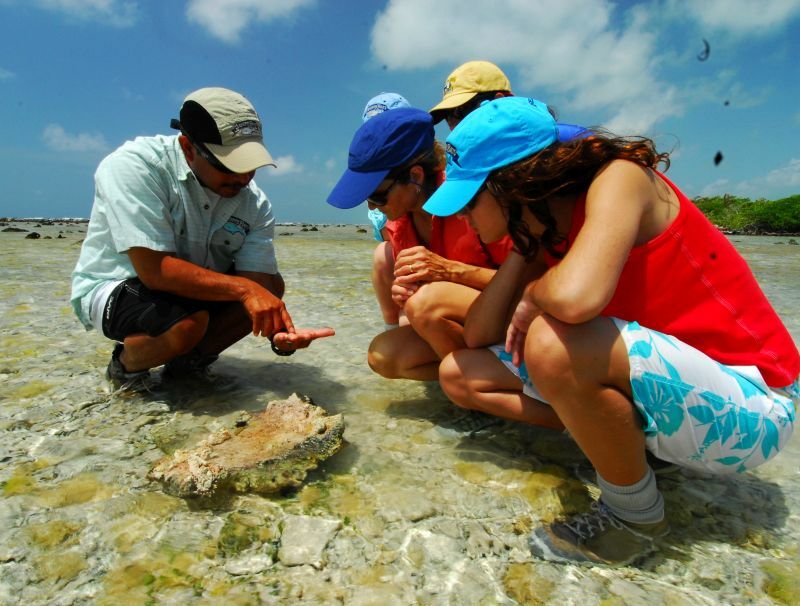 Learn the fascinating history of Belize and Turneffe Atoll from one of our experienced naturalist guides, enjoy a Belizean cooking class, or just relax in a hammock under the coconut palms. Often, a consideration when planning a vacation in Belize is seeing as much as possible of this wonderfully-diverse country. Turneffe Atoll and Belize's inland rainforest areas offer very different and complimentary adventures. We have partnered with three premier inland resorts to offer Combination activity packages. Please see Other Activities above for details. Turneffe Flats has been the conservation leader at Turneffe Atoll for more than three decades.